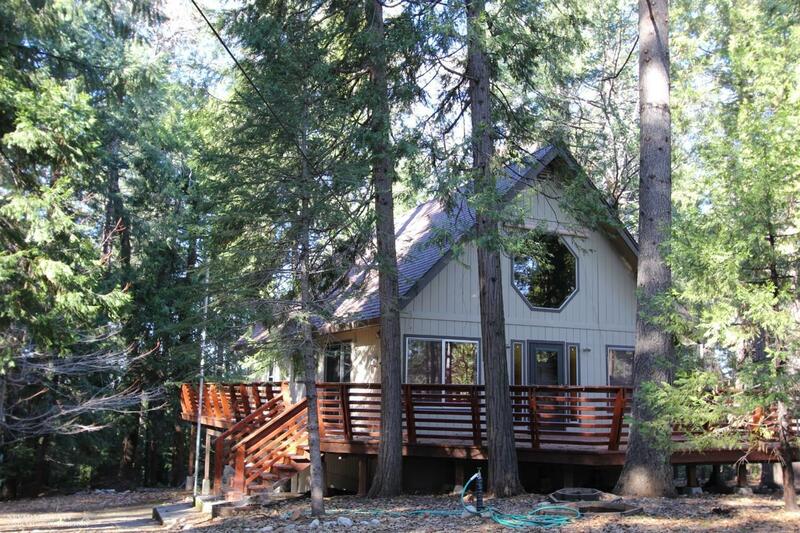 Beauty in the Woods This immaculate home sits in a level great location, makes you feel like you are in your private Tahoe getaway. This home was originally a 3 bdrm. Now it is a roomy 2bdrm with a den & loft. The great room concept makes this home feel much larger. This home has had lots of updates, new Real hardwood floors, carpet & cork in the bthrms. new decks, new paint, new gutters w/leafguard. New skylights, drapes, dishwasher, microwave and much more. On septic system no large sewer assessment. Very little traffic in this location. Over sized 2 car garage. Large weather tight storage shed for wood storage.